Chemists, Physicists, Scientists, Technician, Metrologist, Program Managers, Data Validation Specialists. 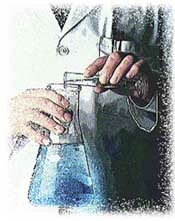 Hosts of radiometric of non-destructive assay techniques are routinely utilized in the nuclear industry. These measurements are utilized for estimating the quantity of radioactive materials for safeguards, security, and safety. This course provides guidance for the development, general examination, testing, calibration and operation of NDA measurement systems. This course will assist you in gaining confidence in the control and management of Radiometric NDA. Key topics will also include instrumentation, measurement limitations, calibration issues and concepts, estimation of uncertainties and uncertainty budgeting, competence and certification. Differentiate between large numbers of variables for the selection of the optimum NDA methods. This course will provide guidance to assist with the decision making process for selection and use of the appropriate assay methods. This course also will provide you with highlights of the best NDA applications that can you can benefit from. Of particular importance will be the sensitivity and accuracy of the various NDA methods. Care and attention to these requirements are of high importance since they determine the effective throughput and quality of the data being produced. Promoting recognized competency and certification are key cornerstones for this course. Cost for this course is $2,495.00 [U.S.] with All Proceeds going to the Radiochemistry Society. Space is extremely limited. In order to assure placement we encourage a prompt response.